We have all the supplies you’ll need! Browse for Binding and Laminating Products by Your Favorite and Most Trusted Brands. Everything you need to make great looking documents. Wide Variety of Easy to Use Machines. Full Selection of Spines and More. Protect Your Documents and Signage. 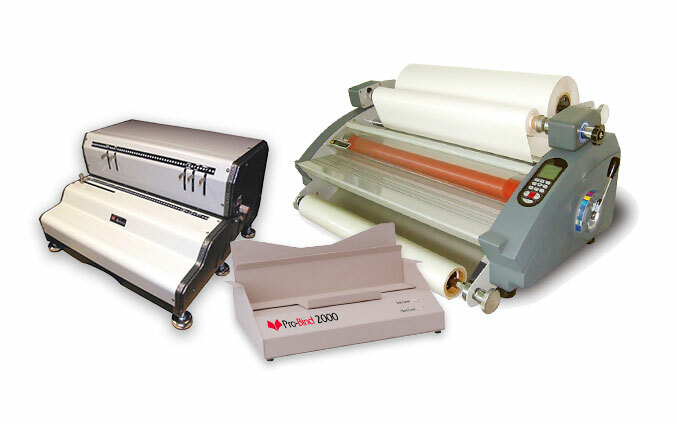 Easy to Use Pouch and Roll Laminators. Variety of Thicknesses and Styles. Make and Display your Name Badges.